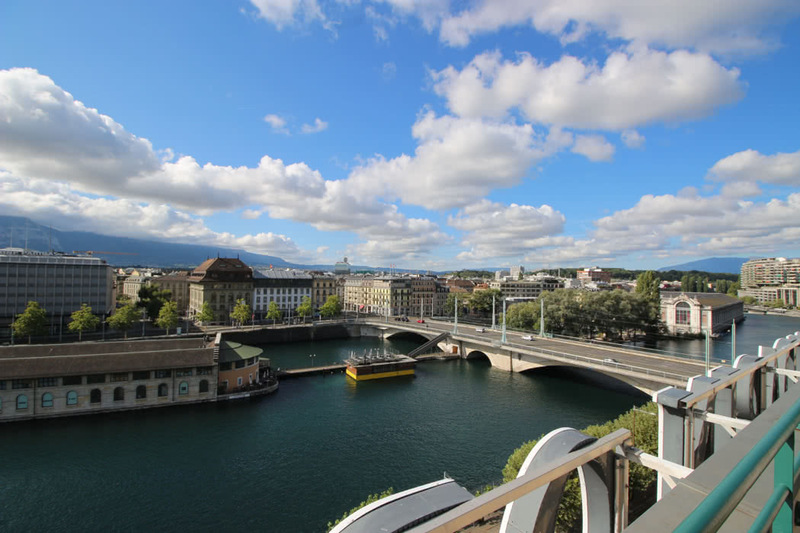 I write this review of the Mandarin Oriental Geneva, on the terrace of room 722 overlooking a river that drifts into Lake Geneva. The sun is shining, a church bell is donging and in the distance, the mountain peaks are still snow covered, even though it is August. What a wonderful place to write! We arrived late last night, after a quick flight from London Heathrow into Geneva on British Airways. In fact, the large number of flights from London in and out of Geneva make Geneva the ideal destination for a weekend break, and one luxury hotel option is the Mandarin Oriental. Geneva is wonderful at any time of the year. In the summer months, look out for the wonderful fireworks that light up the sky on certain evenings. The crowd of visitors changes throughout the year. In the summer there are more tourists, many from the Middle East, attracted by the designer shopping and delightful weather between 20 and 30 °C. Outside the summer, expect a more corporate crowd and cooler temperatures. 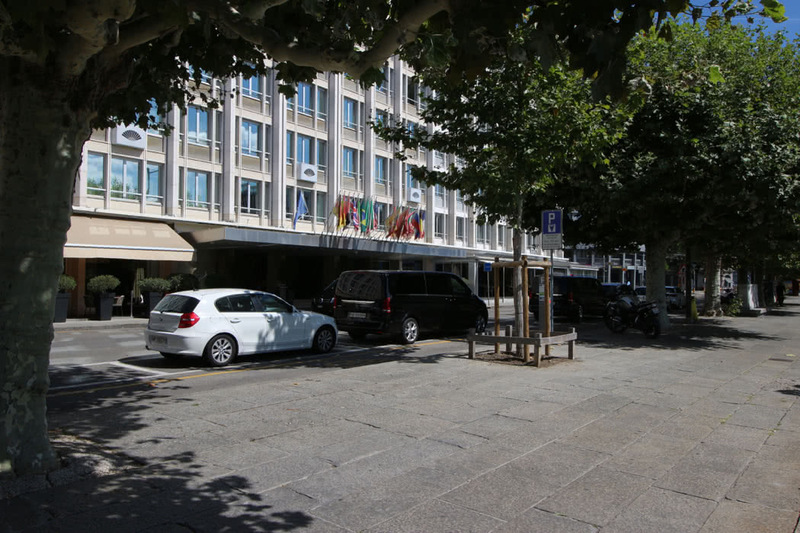 Geneva Airport is only around 20 minutes drive from the centre of Geneva. There are trains connecting the airport to the town centre but the easiest and most convenient way to get to Geneva is to take a quick taxi ride. British Airways flies from London to Geneva in just over an hour. 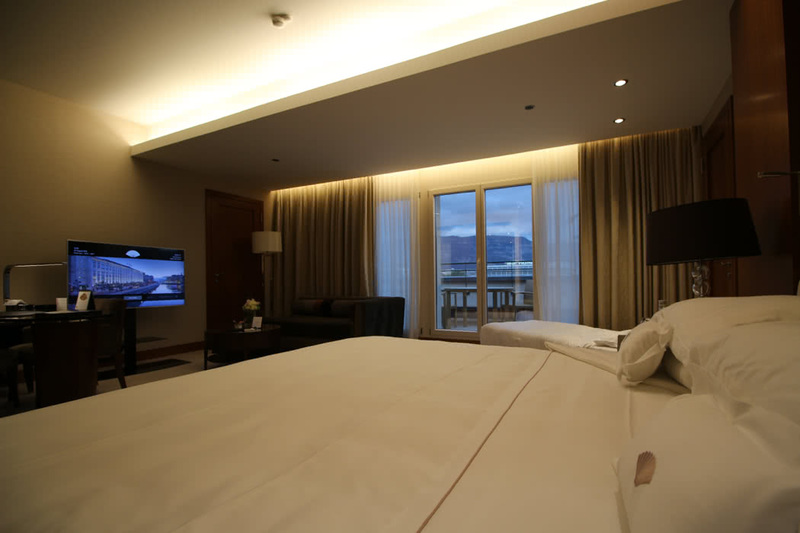 The Mandarin Oriental Geneva is located on the banks of a wide river that leads into the Lake. It is perhaps one or two minutes of a pleasant riverside walk to reach the main lake, where you can literally walk for miles around the water’s edge, to Geneva old town, to the lido for swimming, or you may simply choose to stroll along the promenade for as long as your legs will bear. 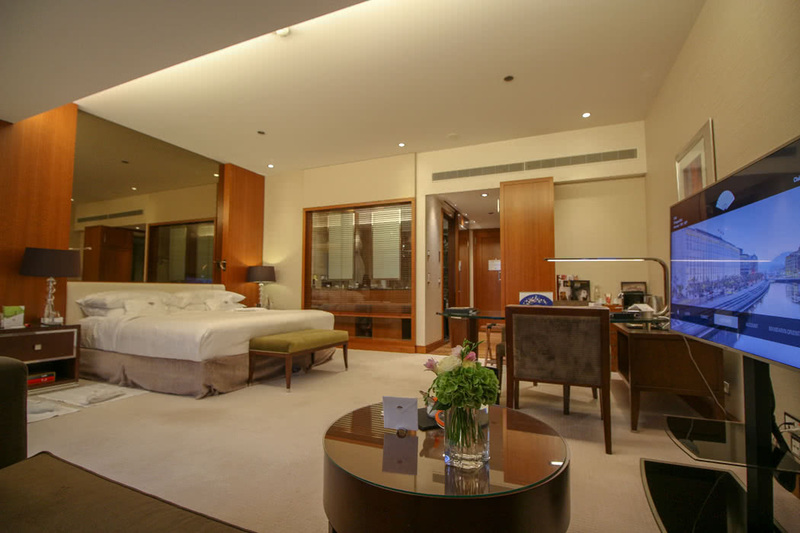 The hotel is, unsurprisingly, Oriental in style with a touch under 200 rooms. The foyer feels intimate with loads of marble and mirrored pillars. 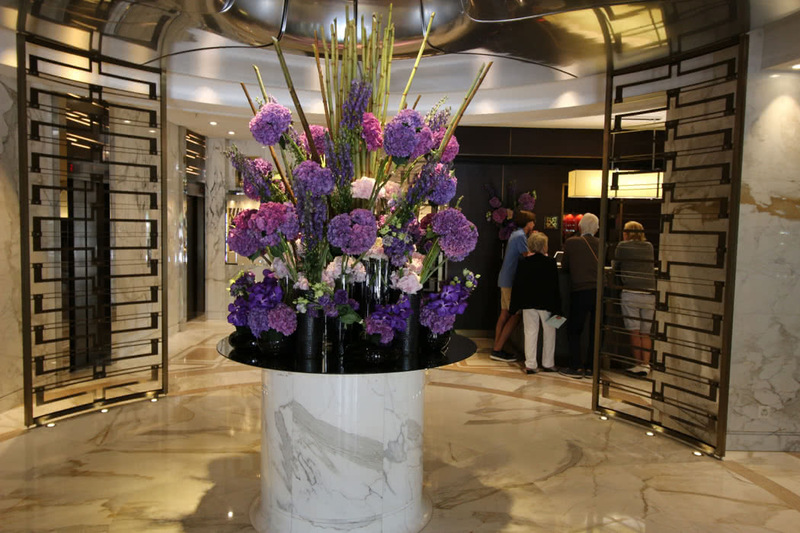 An impressive flower arrangement greets you as you arrive through the rotating doors and the back walls of the stairs offer underlit etchings that remind me of something you might find in an Egyptian pyramid. 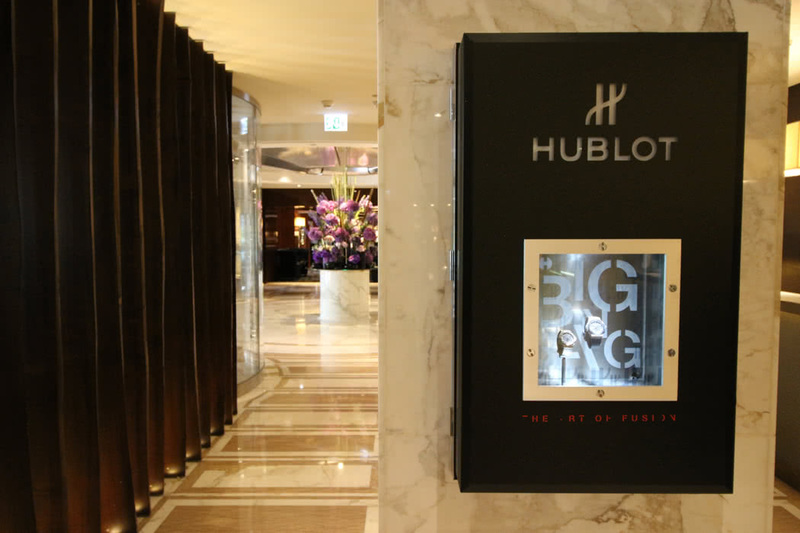 As well as the reception desk, there is a helpful 24-hour concierge service. 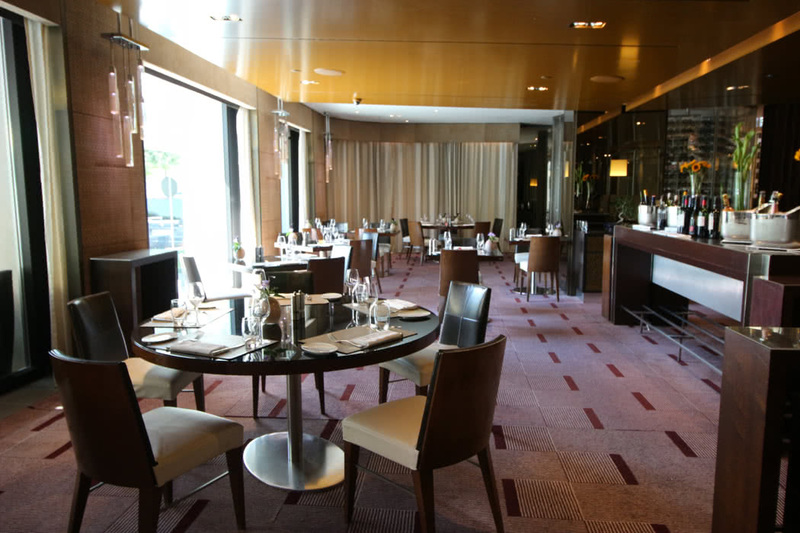 There are also two restaurants and the MO bar, along with a 24 hour fitness centre so you can keep active if walking along the banks of Lake Geneva isn’t enough for you. Finally, “La Suite Beauté” offers treatments and massages with products by Geneva-based Swiss luxury cosmetics company Bellefontaine and there is a hairdresser hidden away too. Our room is a junior suite and is lovely. It benefits from a terrace with wonderful views across the river, a superb place to catch some sun. Inside, the tones are cream carpets and dark brown woods with loads of space. 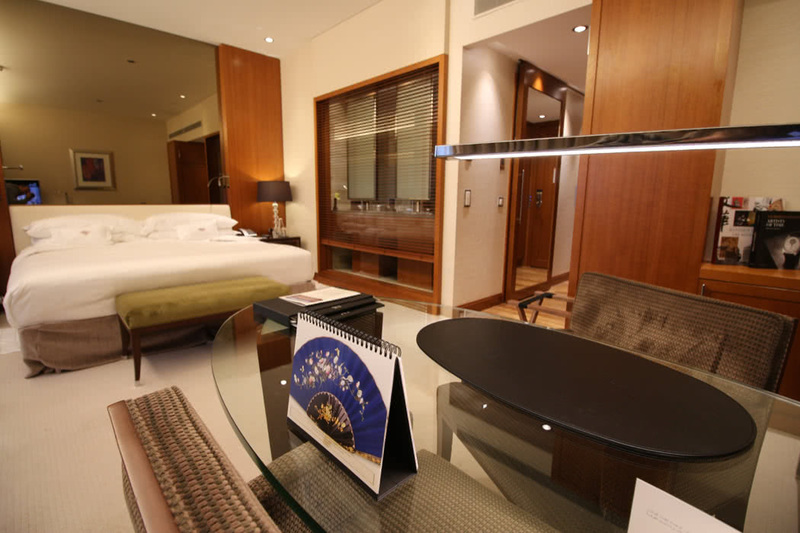 There is a sofa area and a desk/study area as well as an extremely comfortable bed with excellent thick pillows. 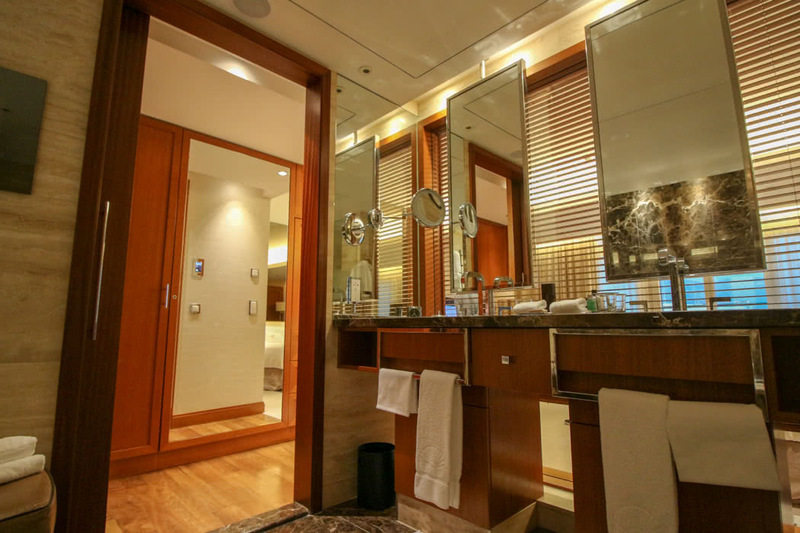 I particularly like the blinds inside the glass wall that separate the bathroom from the bedroom. These can be pulled up or down, set to shut or open; they are fun to play with and the result is a light airy bathroom, even though the finishings are black marble. I also like the fact that you are always connected to people in the bedroom, because the wall is glass. 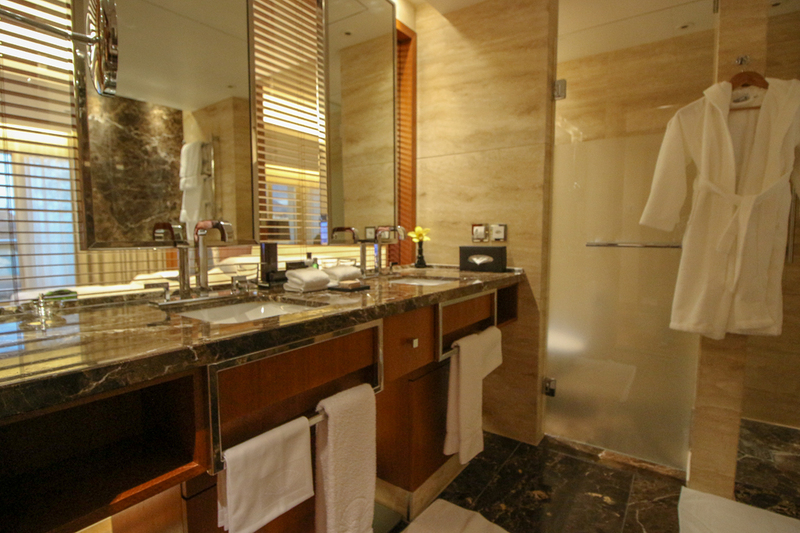 In the bathroom, there is a separate toilet and walk-in shower along with the large bath and double basin unit. All the restaurants and bars in the hotel have views across the road and the Café Calla, where you take breakfast, and the MO bar, both spill out onto the street so that you can take a drink or a bite close to the water. 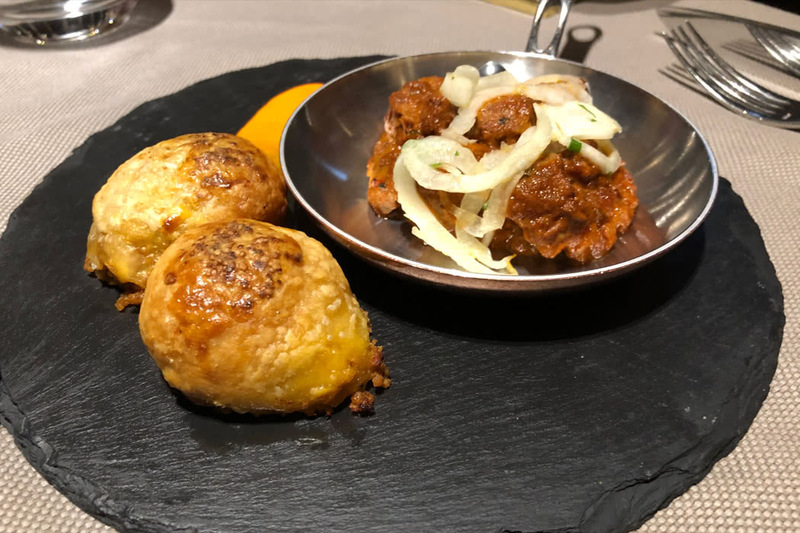 We enjoyed an evening meal at the Gastronomic Indian, Rasoi by Vineet. 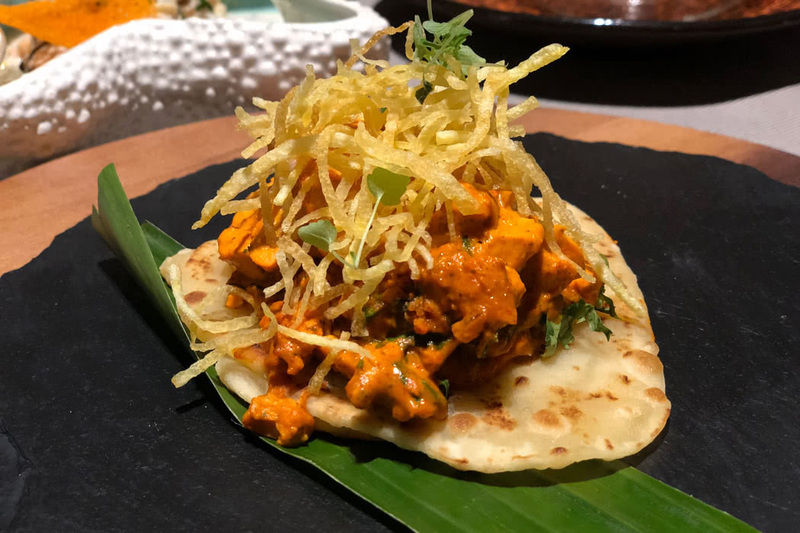 We love our Indian food so we were excited to try an Indian restaurant outside the UK. The restaurant was packed (which says it all) but it didn’t feel overfull. The lighting in the restaurant was low with the exception of some spotlights and there were romantic tables by the windows. The food was Indian but not as we know it. Each dish had an unusual, hot Indian flavour and was presented beautifully. Our fish dish was deeply fishy (in a good way), our chicken was hot and succulent but had crunchy bits on top that made it rather special. Probably the highlight was the dal made with black lentils. It didn’t taste like the tarka dal we are used to, it instead had a light, herbal flavour. 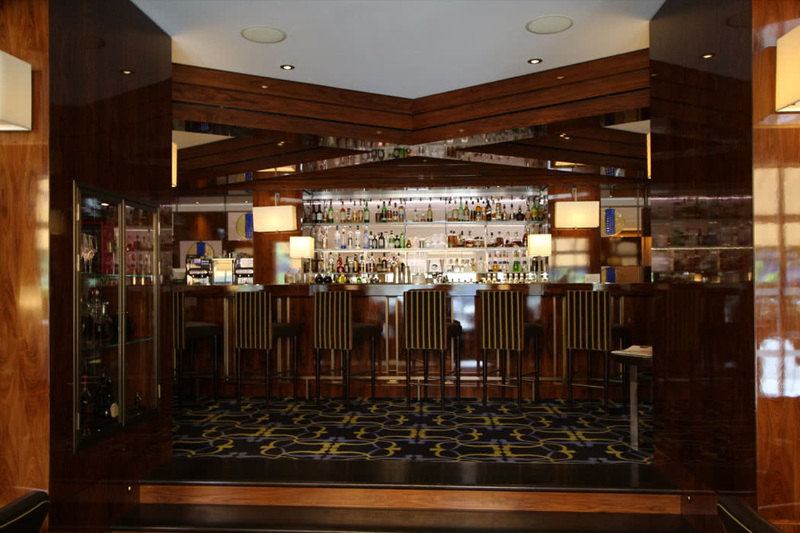 What I liked particularly liked about this restaurant was the exemplary service, the staff were excellent and cared that you had a good night. 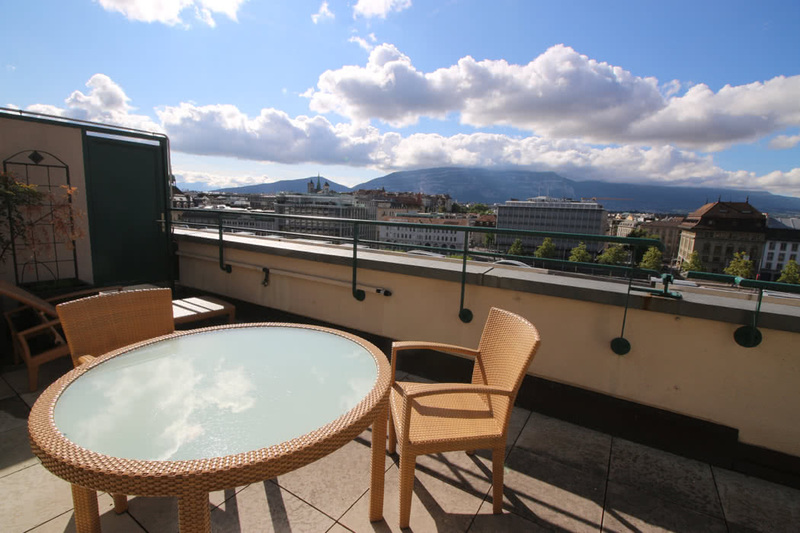 If you are looking for a hotel room in Geneva with its own private terrace and wonderful views, the Mandarin Oriental Geneva and room 722 are a great choice.